Be sure to check out Part I for my thoughts on Crossfit and Mistake #1. Our bodies are inherently asymmetrical. Don’t believe me? Here are a couple examples of this natural asymmetry: we have a liver on the right, a heart on the left, 3 lung lobes on the left, 2 on the right, the stomach is tilted, one kidney is higher, the right diaphragm has a better zone of apposition, each brain hemisphere is lateralized for different tasks, and our left-otolitic dominance makes our motor system prefer the right side of our bodies. On top of this, there are many other possible asymmetries and different morphologies due to genetics/ontogenetics. Not only are our bodies asymmetrical, but we live in a very asymmetrical world. Everyday activities are asymmetrical; you push the car pedals with your right foot, grab your wallet out of the same pocket, open doors with your right hand, use the computer mouse on the same side. Sporting activities are asymmetrical; you shoot with your right hand, kick with your right leg, swing a golf club to the same direction everytime. And then there is just plain handedness. These asymmetries are normal and usually not a problem. However, sometimes these asymmetries become too significant. The imbalances become too much for the body to handle. This asymmetrical problem is taken to the next level when you add a symmetrical load to the system. 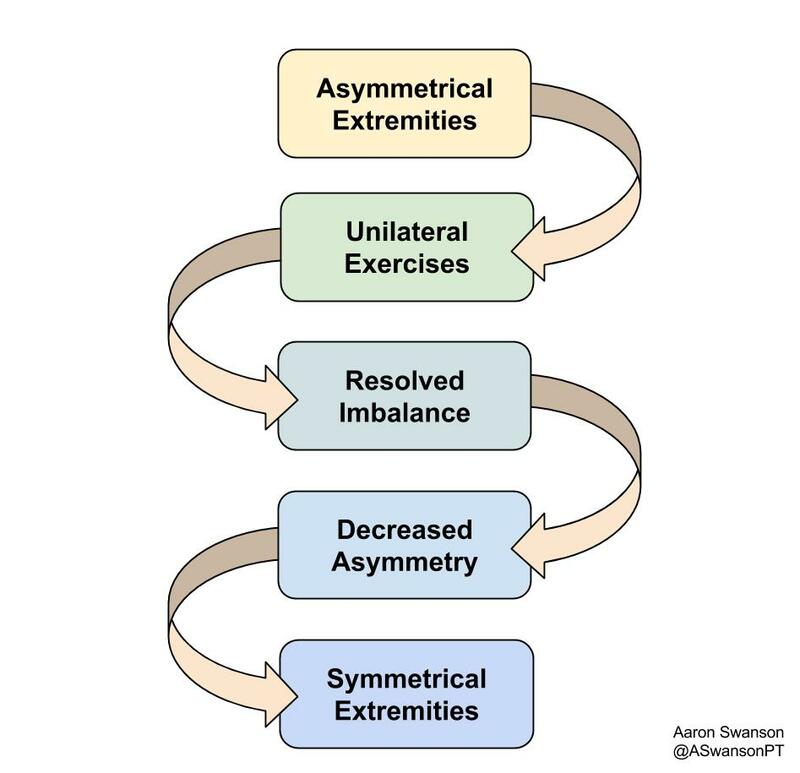 Symmetrically loading an asymmetrical system is the formula for injuries. And this is one of the biggest mistakes Crossfitters make. Therefore, your upper extremity asymmetry is accelerated much faster compared to the lower extremity. In other words, a right handed person can pretty much go all day without using their left arm at all. Fast forward to this person going from not using their non-dominant arm for most of their life (or past few years) and then throw a barbell at them. It’s not going to go well. The symmetrical external load (barbell) won’t be met with a symmetrical internal force (muscles). 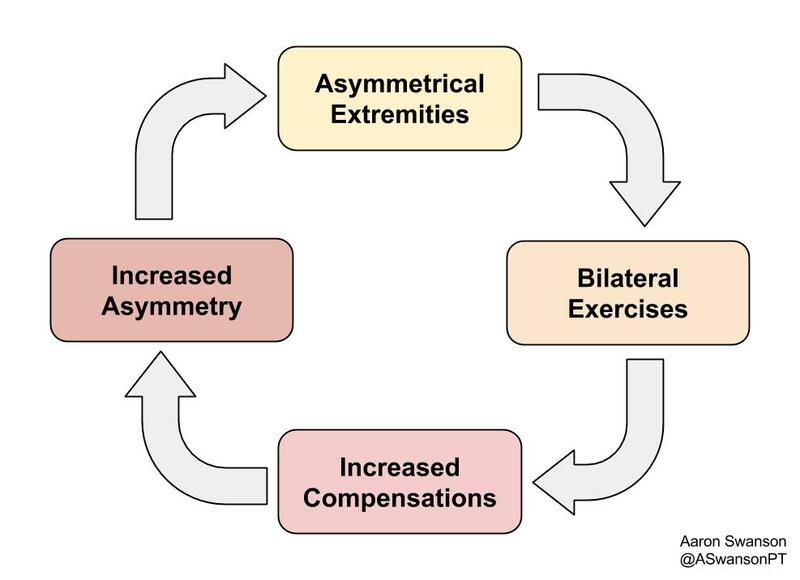 Bringing a symmetrical exercise to an asymmetry is a recipe for disaster. Look at your car for an analogy. 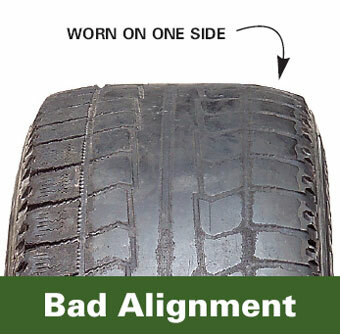 If you car alignment is off, it’s going to cause some big problems. Not only is most of the load going to be dumped onto one side, but it will also prevent a smooth straight path. With the alignment off, the car will naturally want to veer from straight. But it is being driven in a straight path, so the car has to pull (compensate) to maintain the desired direction. The same thing happens at your shoulders with barbell exercises. One shoulder will get too much of the load, the other has to compensate to keep it straight, and it becomes an internal tug-of-war to keep the all important straight bar path. Therefore, if you have a shoulder asymmetry, then the whole time you are cleaning, pressing, or snatching your shoulders will be compensating against each other. As mentioned in Part I, over time compensations lead to decreased performance and injuries. So what do you do about this? Start brushing your teeth with your non-dominant arm? Do barbell cleans with one arm? Walk on your hands? The best thing you can do is incorporate some single arm (unilateral) strengthening into your weekly workouts. This will not only prevent injuries, but it can also be used as an assessment. If you can strict press 70# with your right arm, but only 50# with your left, then what do you think is happening when you strict press with a barbell? Break the vicious cycle by training unilaterally. It will fix your weaknesses, prevent injury, and improve performance. There are plenty of great coaches that can probably come up with some amazing unilateral upper extremity WODs. There’s not just one right way to do it. As long as you are training unilaterally and exposing weakness you will be decreasing your risk of injury and improving performance. Like anything that becomes popular or trendy, there quickly becomes a group of people that jump on the bandwagon and a group of people that protest against it. But this isn’t EDM, this isn’t Instagram, this isn’t the new iPhone. This is simply another opportunity to help people stay active and exercise. It’s not for everyone, but it’s not for no one. Medical professionals need to focus on ways to reduce injury and improve the activity rather than just pointing out what we don’t like. Crossfit coaches need to focus on what’s best for the athletes health rather than what will give them the best workout. And the Crossfit athletes need to be educated on the risk of lifting with poor technique and/or with a significant asymmetry.